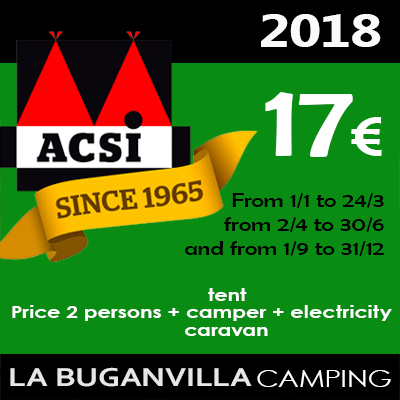 PRICE TWO PEOPLE + TENT, CARAVAN O CAMPING CAR + ELECTRICITY = 17€. OFFER UNTIL 15/07/18. NOT ACCUMULATED WITH OTHER OFFERS OR DISCOUNTS.